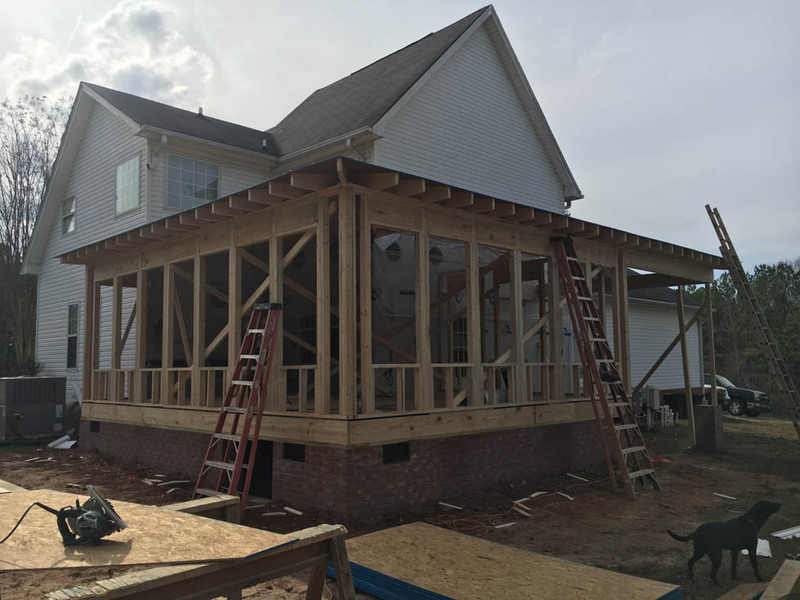 Check Total Home built this sunroom onto the back of a home here in Carrollton. It overlooks the pool and offers a warm setting to entertain family and friends. 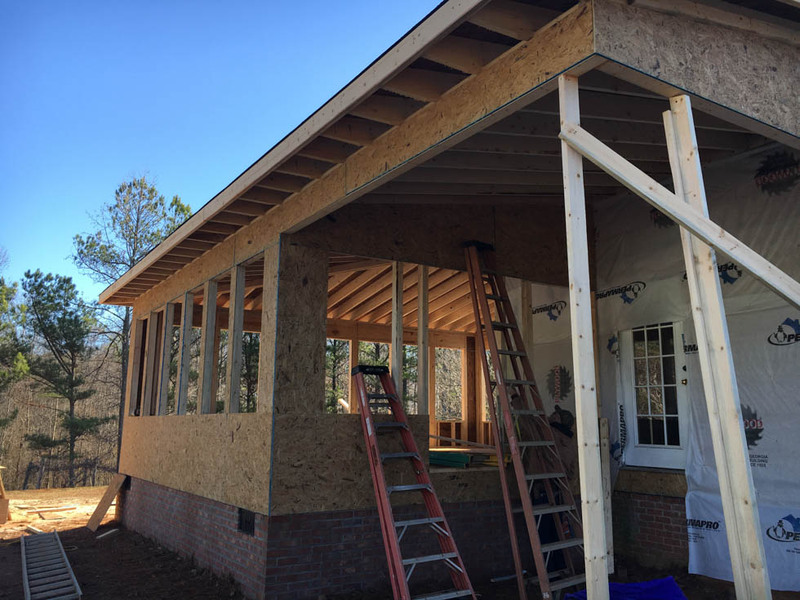 The first couple of pictures in the picture galley show a before and after shot of the addition. 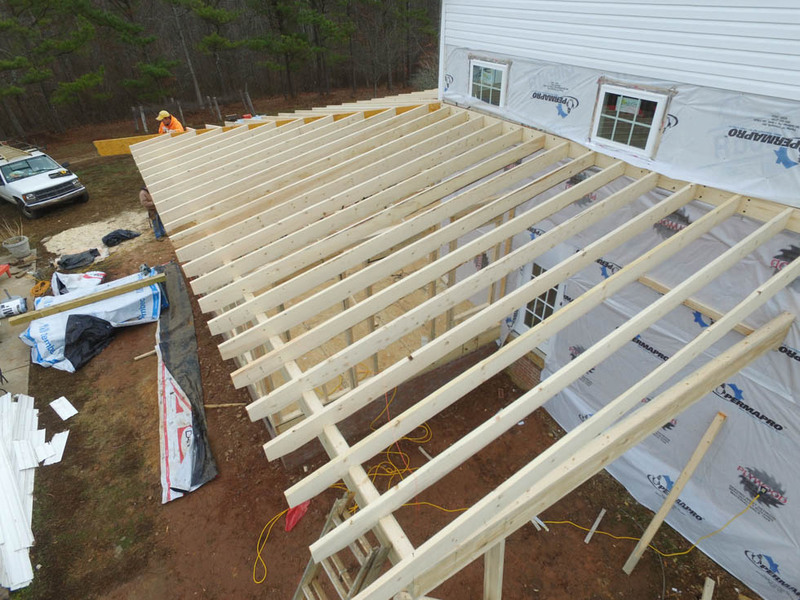 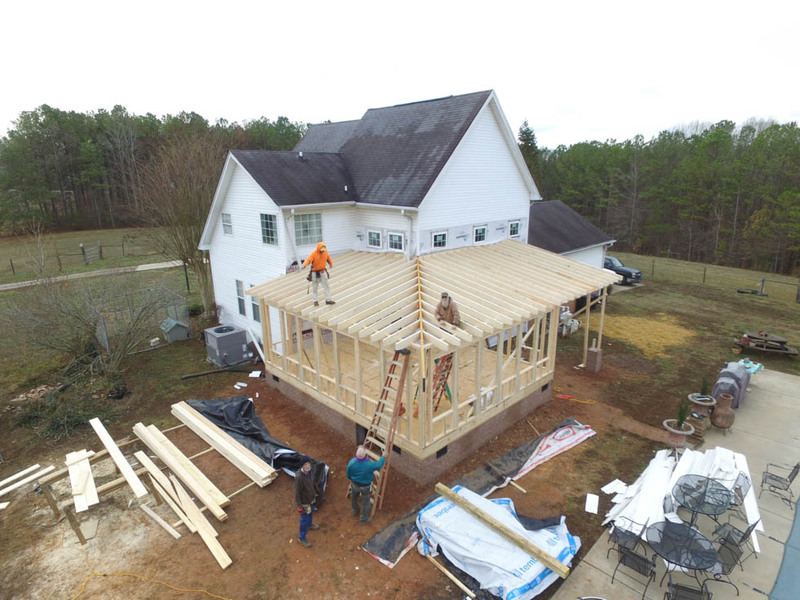 The construction is wood framing over a new foundation system. 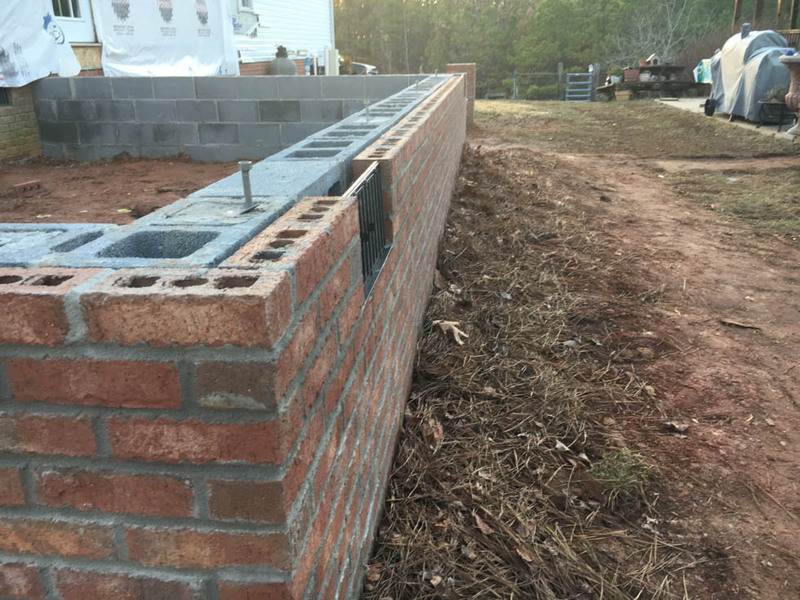 The foundation is block and brick to match the existing house. 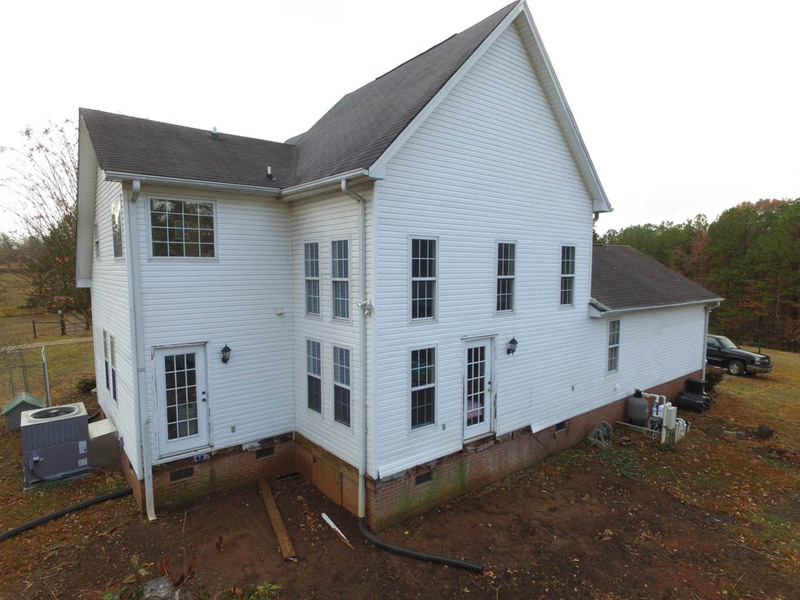 The existing windows on the back side of the house were replaced with fixed windows above the new roof line. 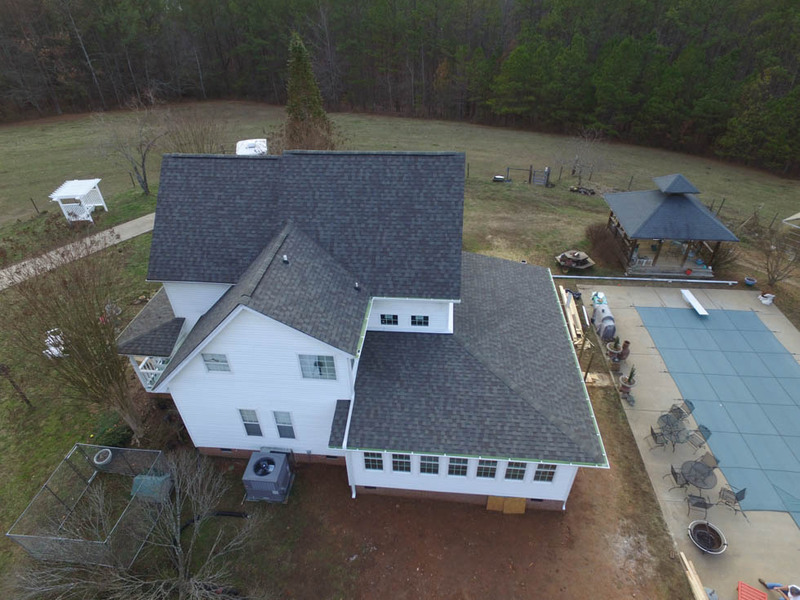 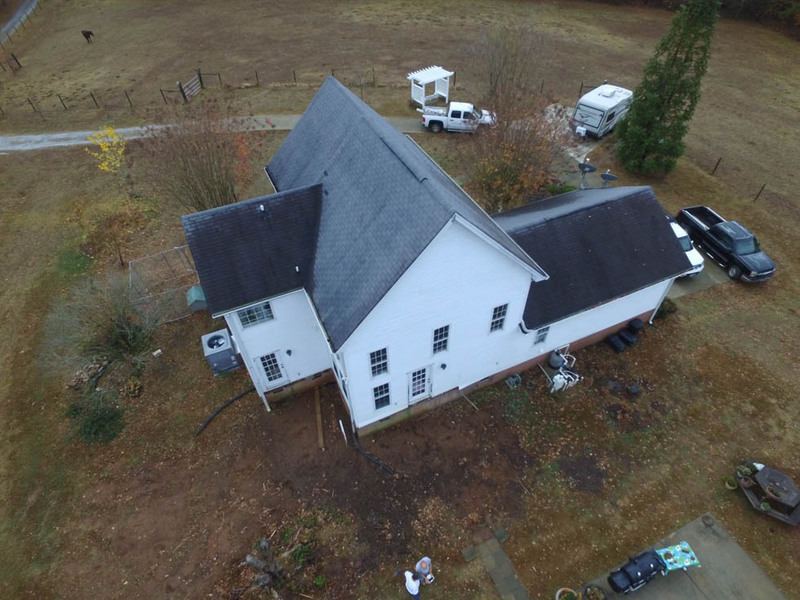 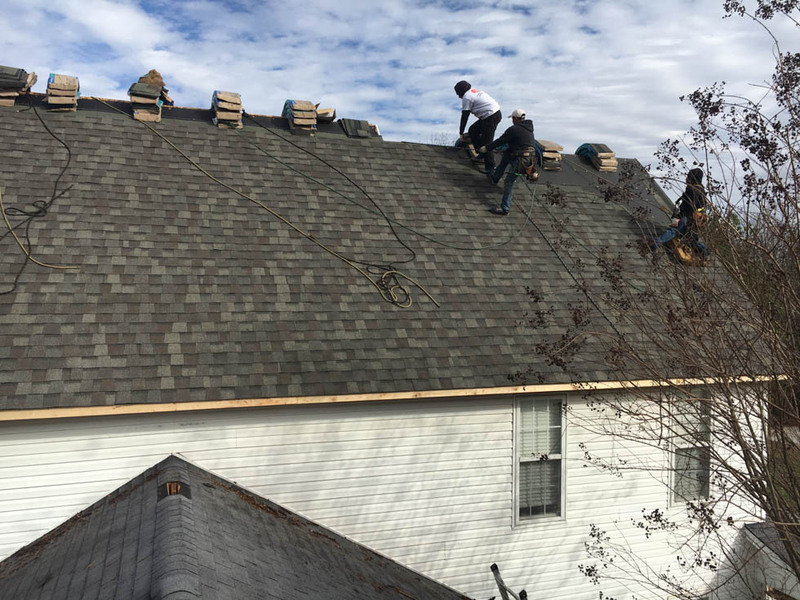 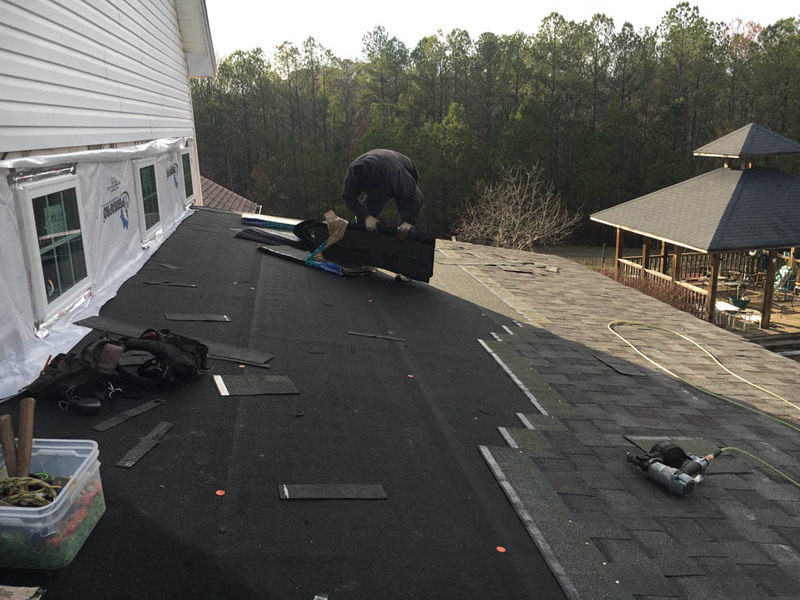 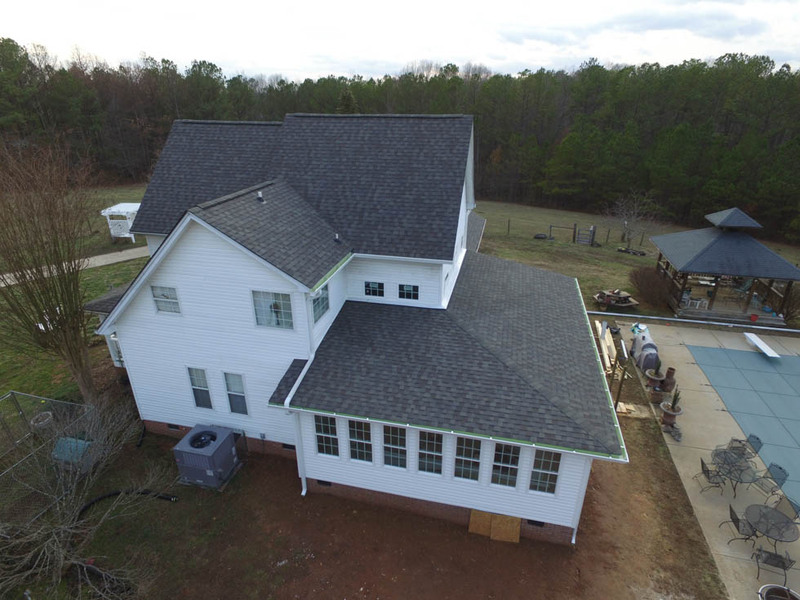 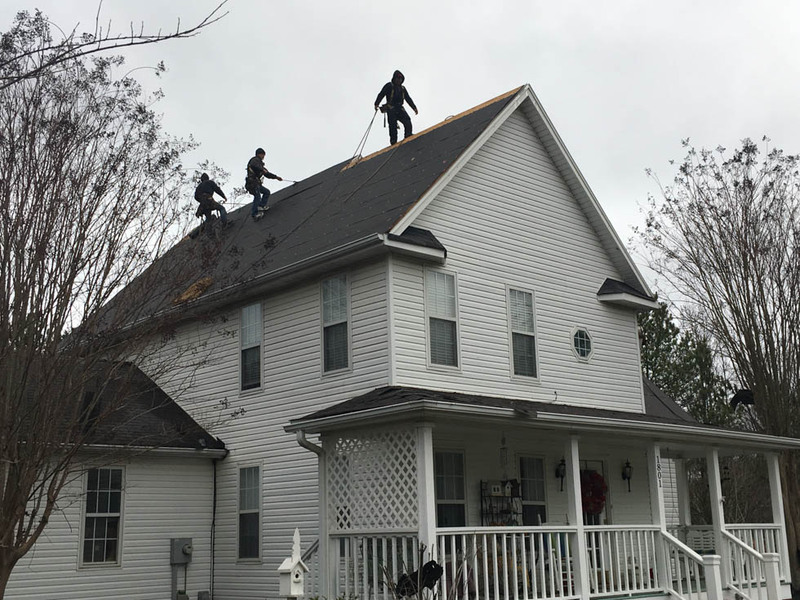 Architectural shingles were installed along with replacement of the roof on the original house. 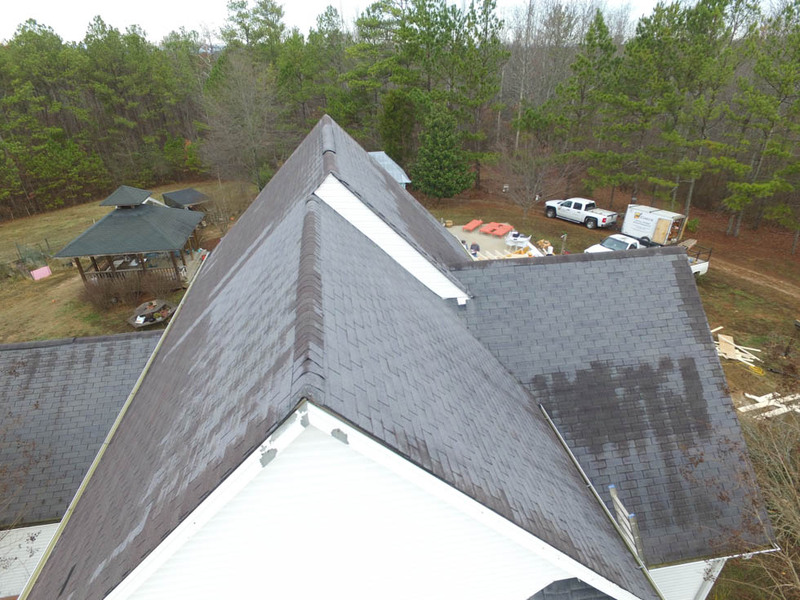 We used a CertainTeed Landmark series shingle with a lifetime warranty. 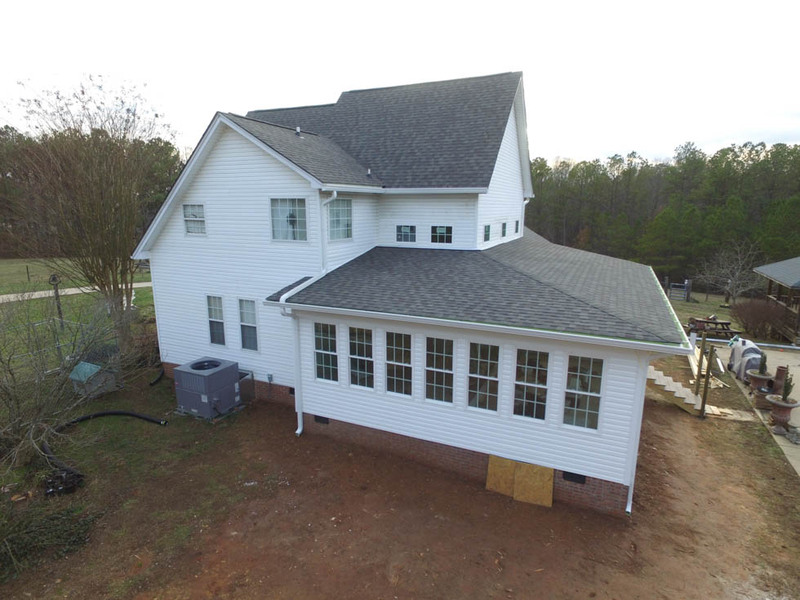 New vinyl siding was installed to match the existing house. 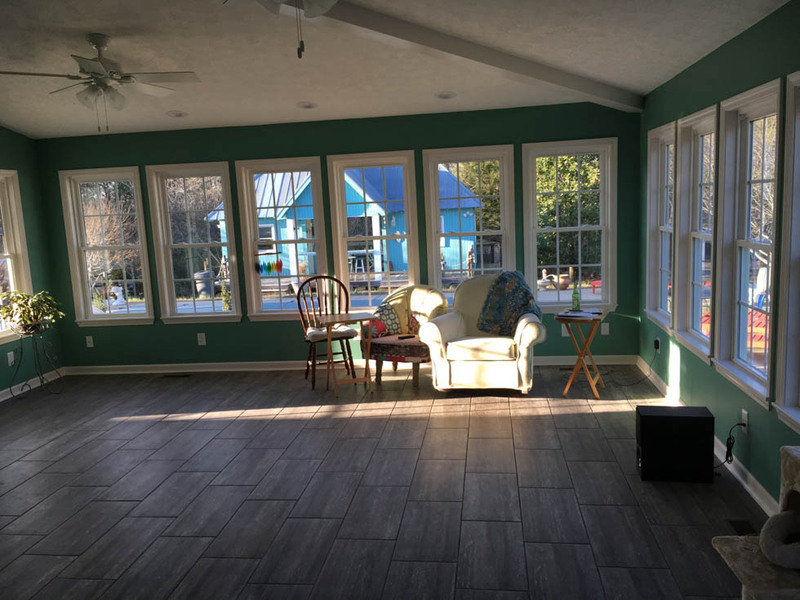 The new vinyl windows really set off the sunroom bathing it in a warm light. 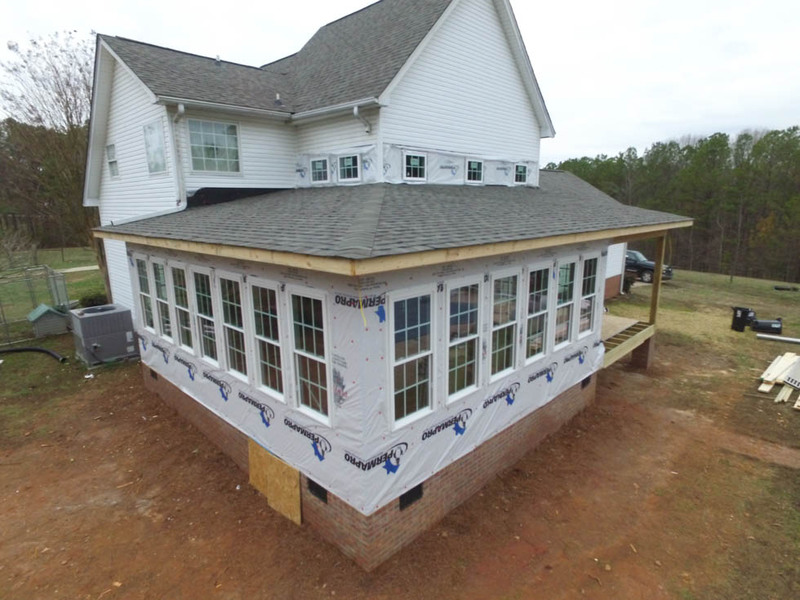 We used a Low-E double hung window with the grid built into the glass. 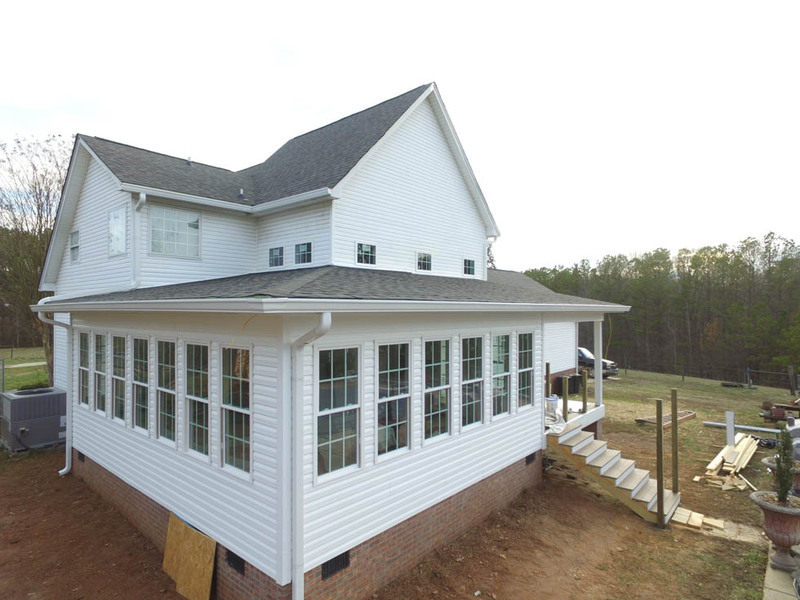 The electrical work was pretty simple with an added dedicated circuit suppling power for outlets and lighting. 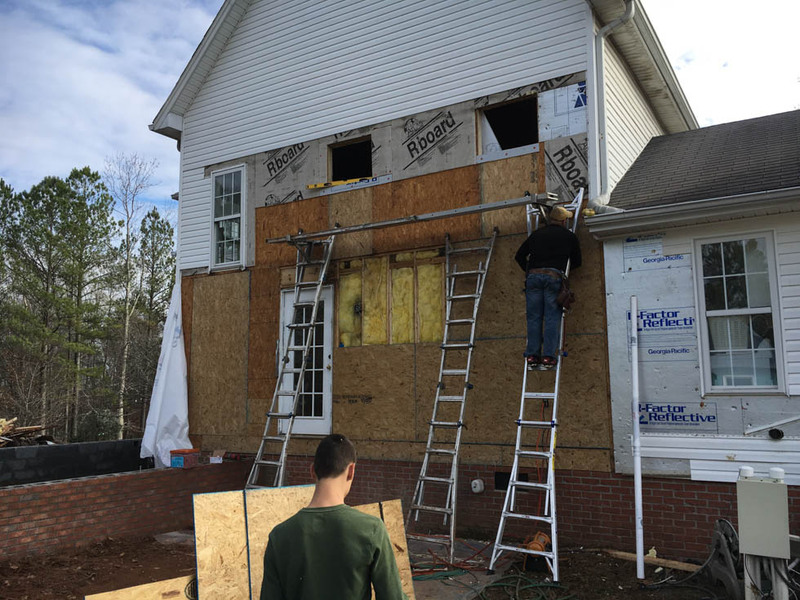 The walls and ceilings were covered with sheetrock except for an exposed beam across the ceiling. 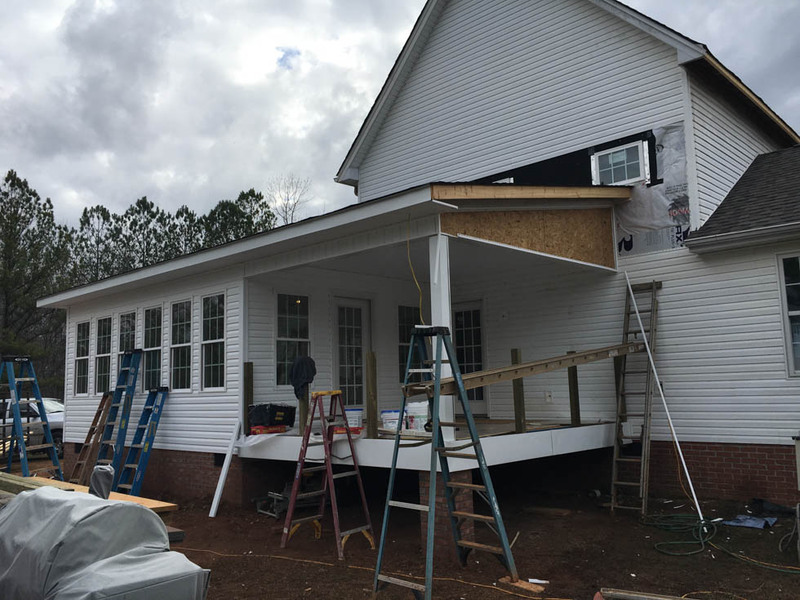 We installed two pocket doors between the addition and main house. 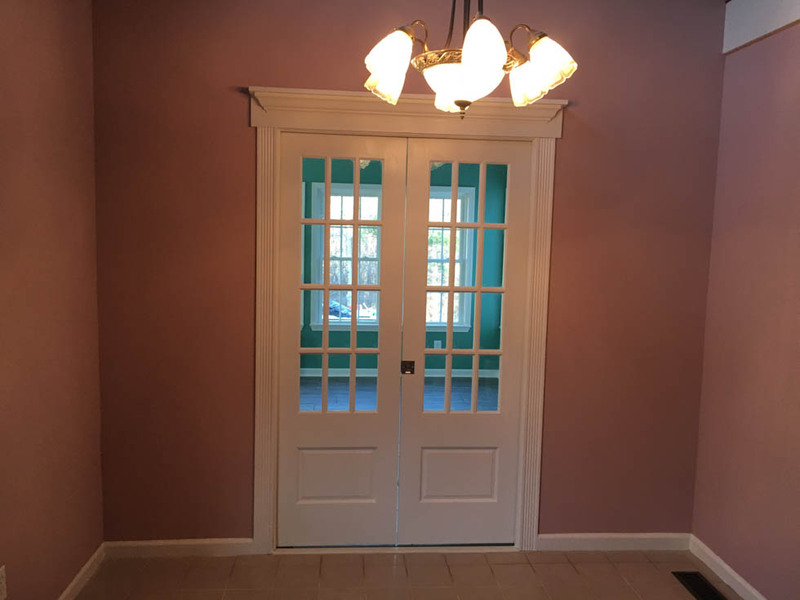 This allows more wall space because the doors recess completely into the walls. 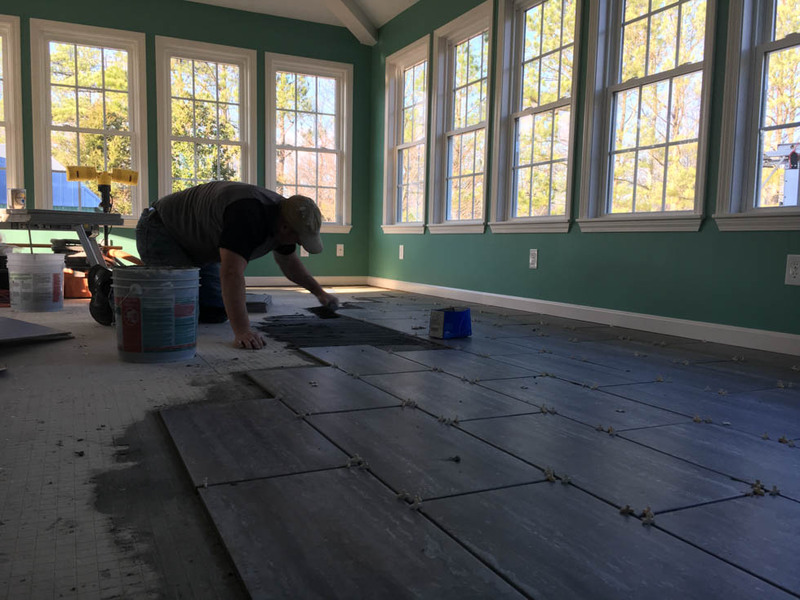 A ceramic tile floor finished the room to give it an elegant feel. 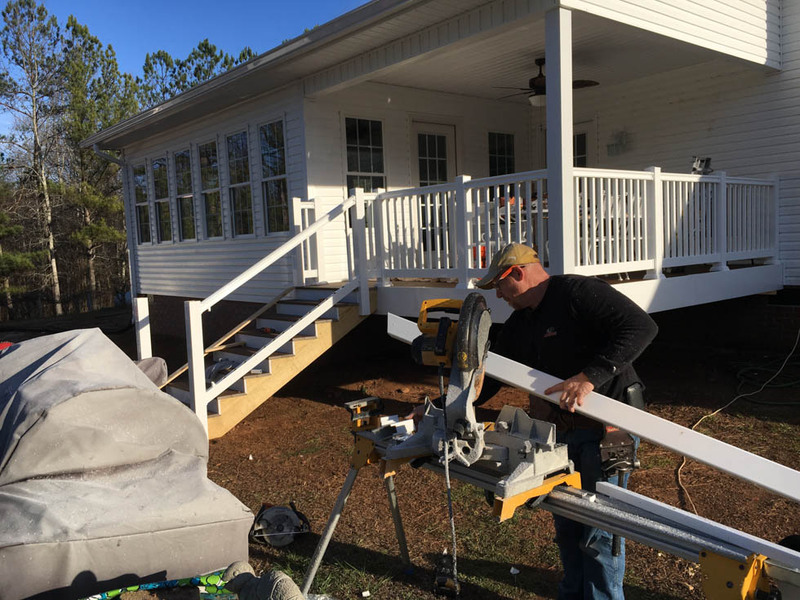 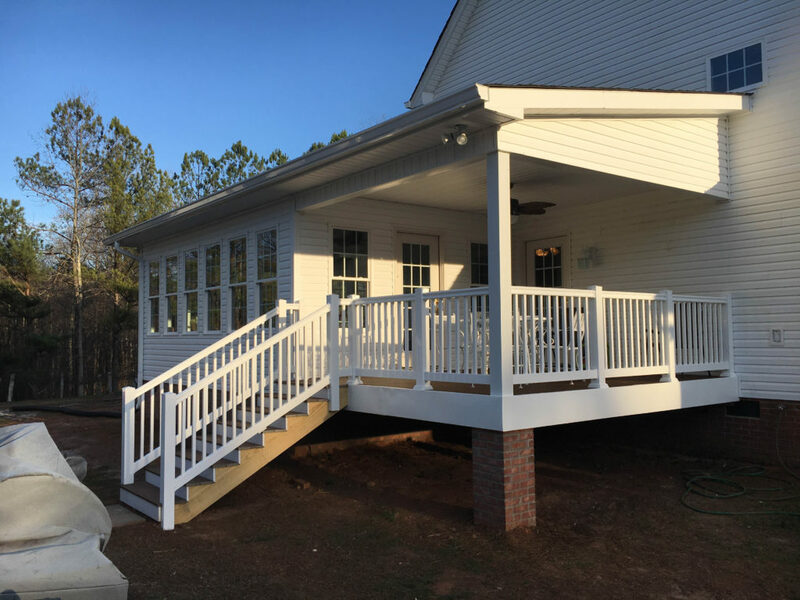 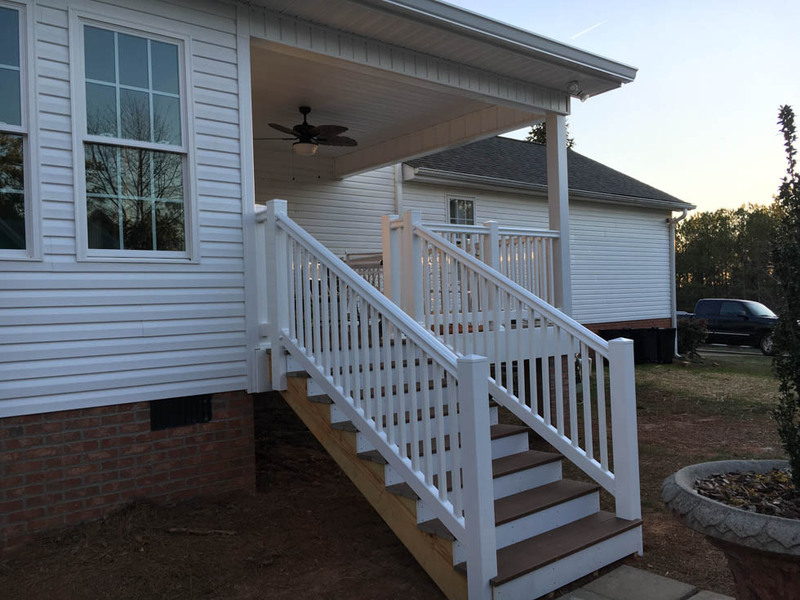 The open porch area was covered with a composite decking and vinyl railing. 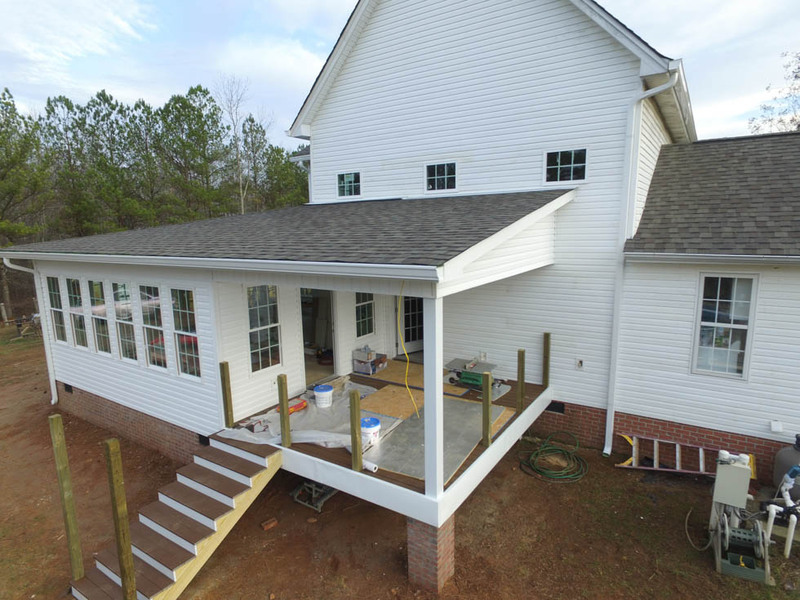 It offers a low maintenance solution for the areas exposed to the elements. 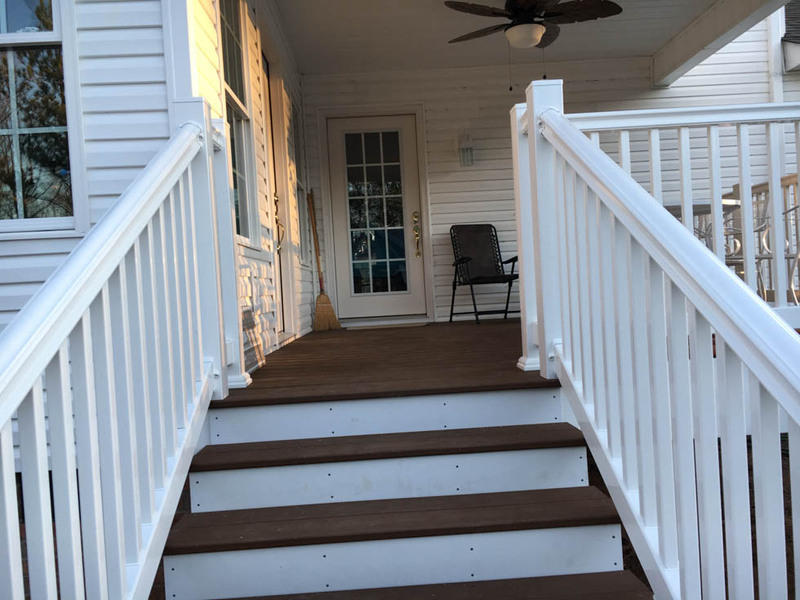 The vinyl railing has a very clean look to it and requires no paint. 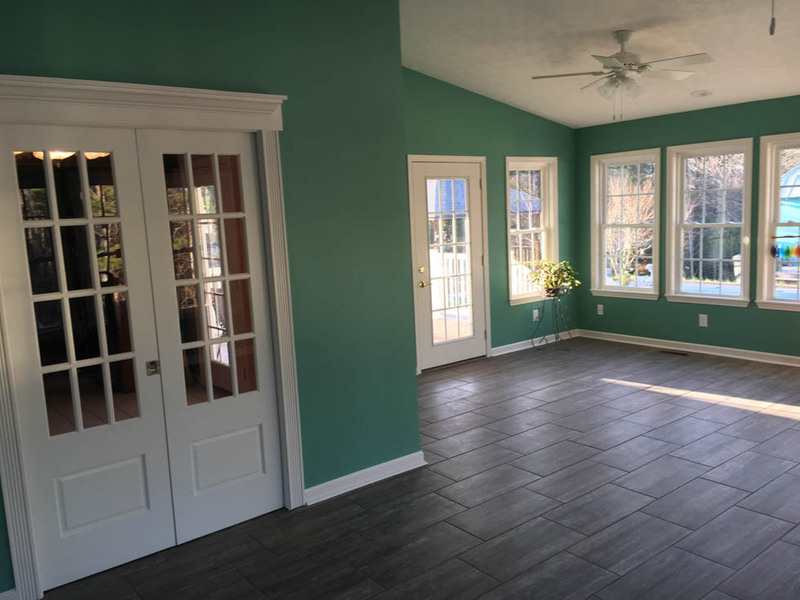 The sunroom turned out very nice. 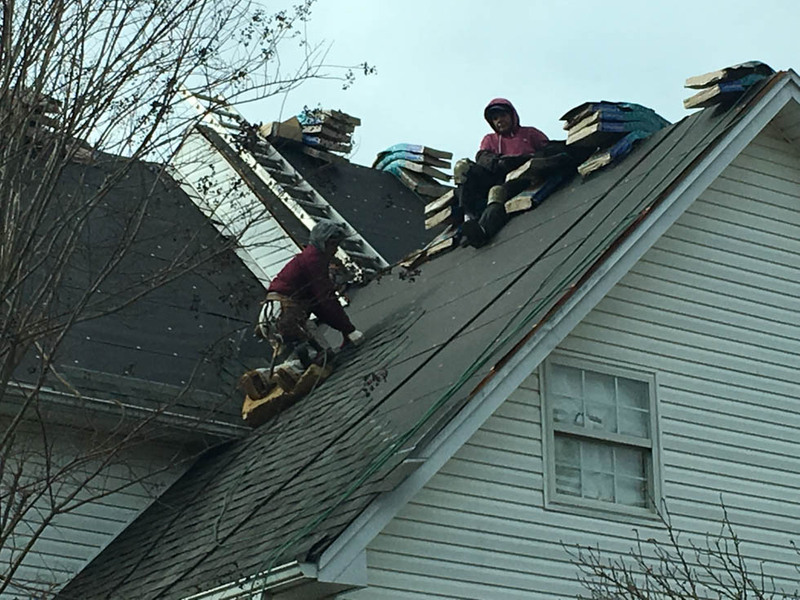 It adds value to the home in many ways. 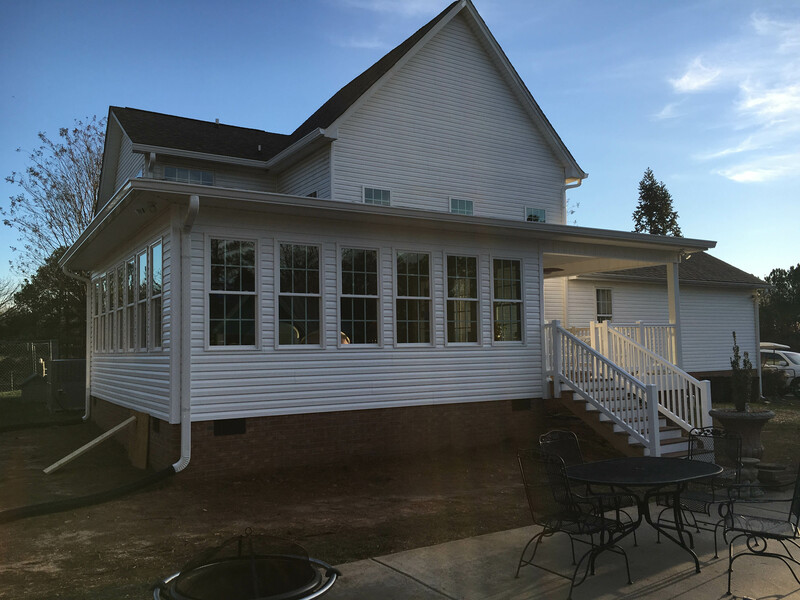 It provides a large open space for people to gather and relax while taking a break from the pool. 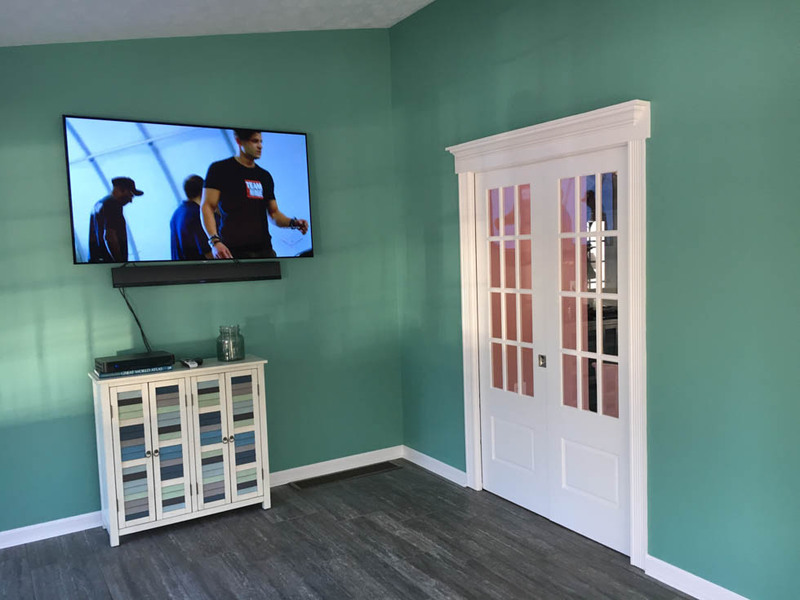 The big screen TV makes it a perfect place to enjoy the big game. 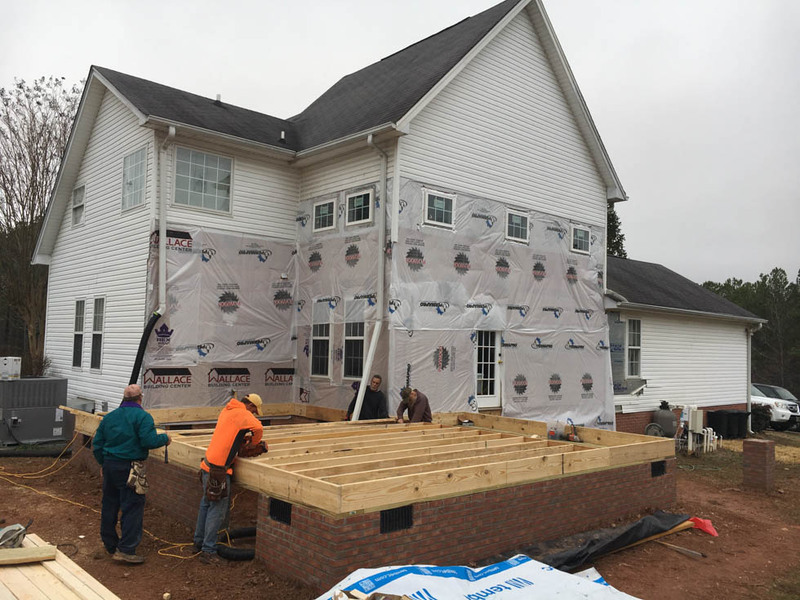 It also increases the value of the home in the marketplace.